Simply having the right amount of insulation is not enough. 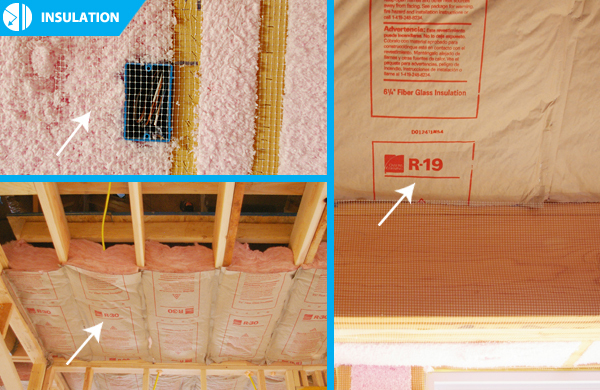 In a Home Creations home, sufficient insulation is properly installed to create an effective moisture barrier & prevent undesirable heat gain / loss. Simply having the right amount of insulation is not enough. 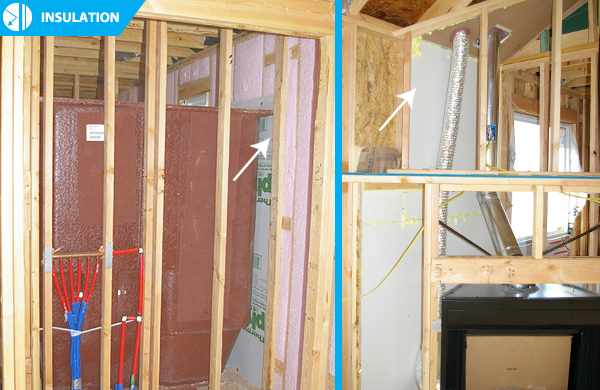 In a Home Creations home, sufficient insulation is properly installed to create an effective moisture barrier &amp; prevent undesirable heat gain / loss. Foam board inserted between foundation and floor slab. (BOTTOM) Caulking applied between bottom plate and concrete. 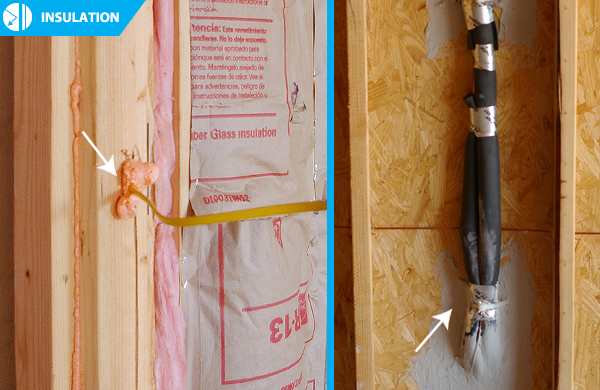 Both methods create a moisture barrier and prevent air leakage through bottom of the walls. The house is wrapped all around the perimeter and visqueen between the wrap and bottom plate, keeping moisture off the wood between the brick / siding and OSB sheathing. 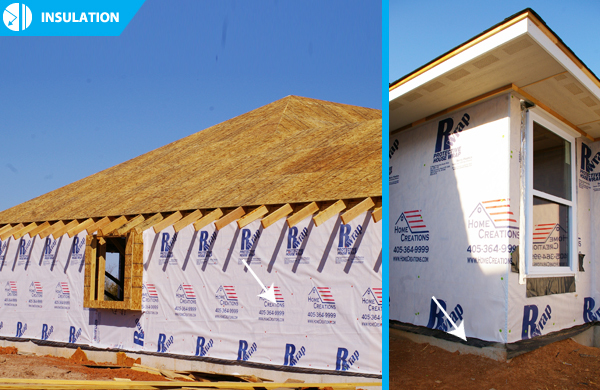 R15 insulation (blown-in) in wall cavities, R19 insulation (batt) on slopes, and R44 insulation (batt/blown-in) in attic meet or exceed national code requirements. (LEFT) Backing placed between shower wall / tub and studs before insulation is blown in. (RIGHT) Sheetrock & insulation installed between fireplace and studs. This prevents any heat gain or loss through the exterior walls.